Isomerism, or heterotaxy, impacts morbidity and mortality after various stages of univentricular palliation. Timing of Fontan completing in these patients based on preoperative factors has not been investigated previously. The aim of this study was to determine the impact of preoperative factors on various outcomes including length of hospital stay and duration of chest tubes. A cross-sectional study was conducted. Patients with isomerism having undergone Fontan at the Children’s Hospital of Wisconsin between 1998 and 2014 were identified. Preoperative, operative, and postoperative data were collected on these patients. Linear regression analysis was conducted to determine preoperative characteristics associated with various postoperative outcomes. Receiver operator curve analysis was also performed to determine the sensitivity and specificity of age and pre-Fontan arterial oxygen saturation in predicting increased length of hospitalization and increased duration of chest tubes. 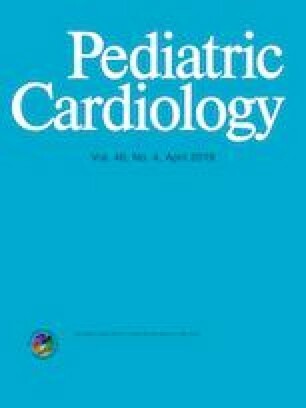 Younger age and lower pre-Fontan arterial oxygen saturation were associated with increased length of hospitalization while younger age, lower pre-Fontan arterial oxygen saturation, interrupted inferior caval vein, and worse pre-Fontan atrioventricular valve regurgitation were associated with increased length of chest tubes. Age, arterial oxygen saturation, pulmonary arteriovenous malformations, interruption of the inferior caval vein, and atrioventricular valve regurgitation should all be taken into consideration when timing Fontan completion in patients with isomerism. Arterial oxygen saturations between 82 and 84% with an approximate age of 3 years appear to be a time at which it is reasonable to consider Fontan in patients with isomerism. All procedures performed in this study were in accordance with the ethical standards of the institutional and national research committee and with the 1964 Helsinki declaration and its later amendments or comparable ethical standards. The proposed methodology was approved by the Institutional Review Board at the Children’s Hospital of Wisconsin.